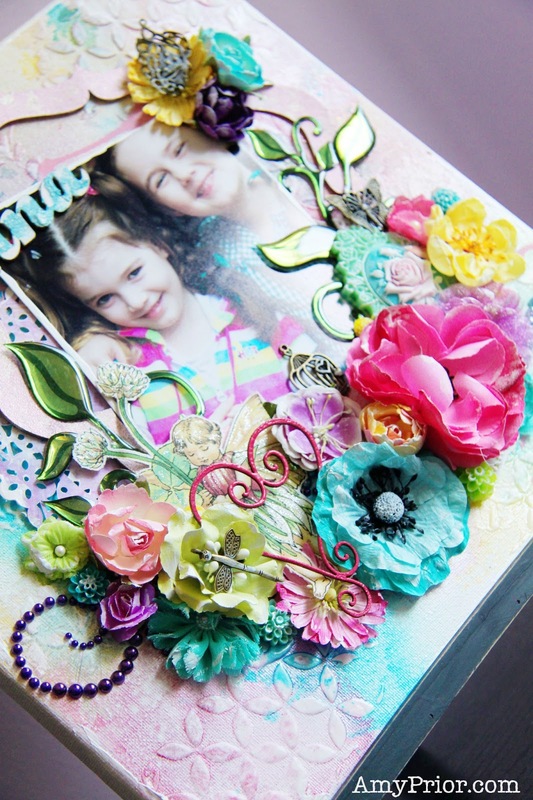 I hope you are all well and ready for National Scrapbook Day tomorrow! Yay I am so excited and hoping to get my scrap on and join in lots of online crops happening over the weekend especially the Live with Prima and the Scrapbook.com crops. I am over on the A2Z Scraplets Blog sharing this canvas that I have made for my mother in law for Mothers Day. This canvas is 12×12 and to create the background, I have used a variety of masks and some Helmar Textured Effects. I then had fun with lots of different mists including Glimmer Mist, Lindys Stamp Gang Starburst Stain Sprays as well as Dylusions Ink Sprays. When these were dry, I have added some white gesso to shabby it up a little more. Bright and shabby is a serious favourite style of mine at the moment LOL. 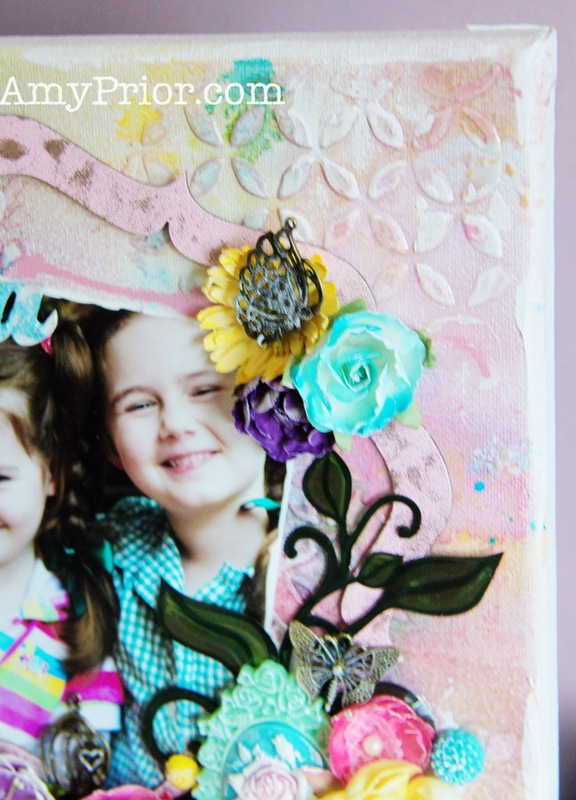 The fabulous A2Z Scraplets Heart has been simply embossed with some WOW Embossing Powder. I have attached it over a beautiful cluster of Handmade Halo & Prima flowers along with some beautiful Handmade Halo Charms, Fabric Stickers and Flourish with a Bling goodies. Behind the photo is a darling doily that I have cut using my Silhouette Cameo and some Prima Marketing Firefly Papers. I have also framed the photo with a fabulous A2Z Scraplets Nested Scallop Chipboard piece. Again I have embossed this piece using WOW Embossing Powder but I have done a very random spotty job so I would have lots of the raw chipboard shining through still. I then added some Viva Pink Glimmer Mist to that and allowed it to dry. I just adore all of the nested chipboard packs that A2Z Scraplets has to offer. They are so versatile and you get so many pieces for your money! 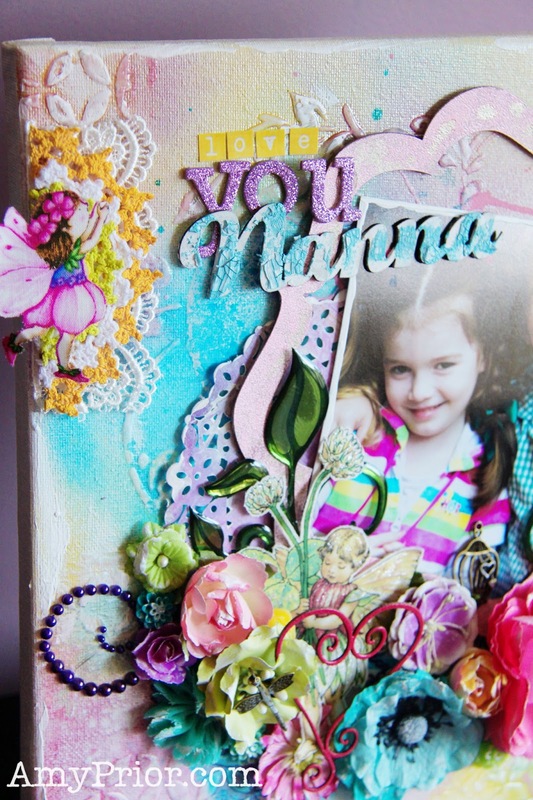 The title was created using the A2Z Scraplets Nanna Title Chipboard. To get this effect, I have added very small random amounts of Blue Tim Holtz Crackle Paint and allowed to dry completely. Then I have simply sprayed some White Mister Hueys Spray over the top to mute it down a little and add some more shabby. Here are those fabulous A2Z Scraplets that I have used. Click on the images to view and purchased them on the website. Well that is it from me today, I hope I have inspired you to get creative with Mothers Day gifts this year. 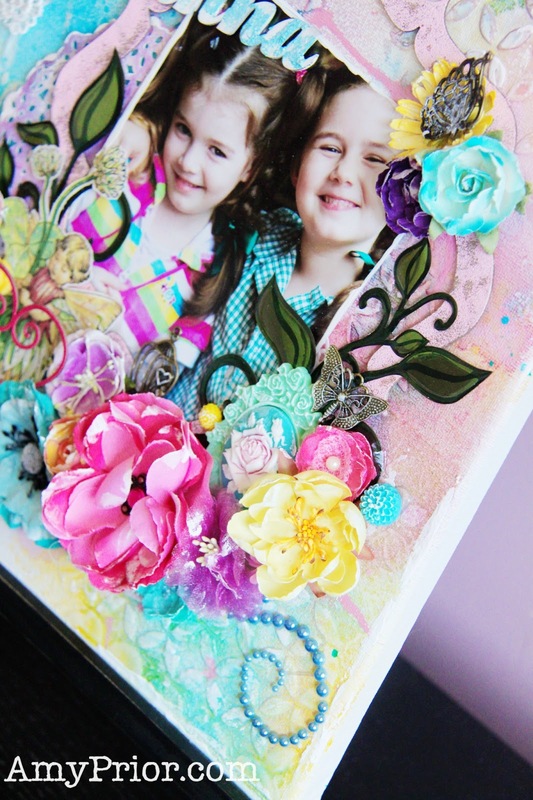 Don’t forget to checkout this month’s Challenge where you can win lots of A2Z Scraplets Chipboard WOOHOO! Click here to view the challenge this month. Also don’t forget to head on over to the Handmade Halo website here to grab yourself some gorgeous unique embellishments.